H Moser & Cie | 28'600 € Tax inc. 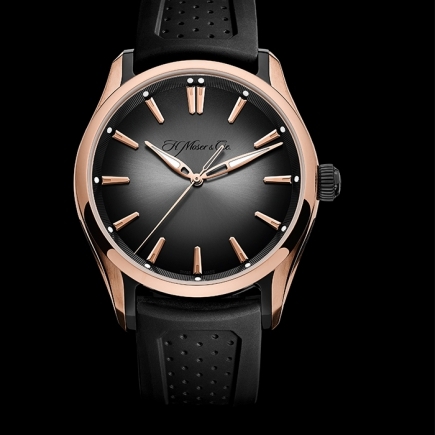 Led by a young, dynamic and ambitious team, H. Moser & Cie. has positioned itself as a decisively innovative player in the Haute Horlogerie sector. 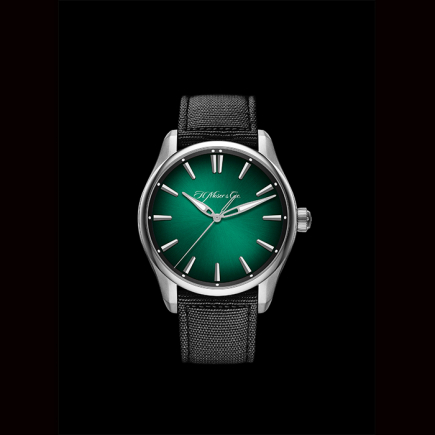 In a world awash with aggressive branding and marketing strategies, the independent manufacture has gone back to basics to unveil a watch of absolute purity. 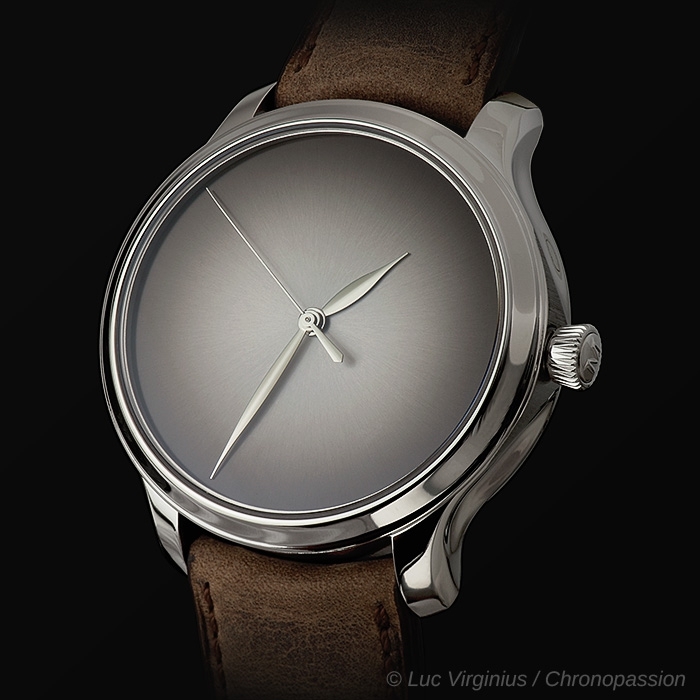 This model, which features neither indices nor a logo, is the antithesis of the dial overloaded with useless functions, and turns the spotlight back onto distinctively human luxury which remains true to the central aim of watchmaking: indicating the time. 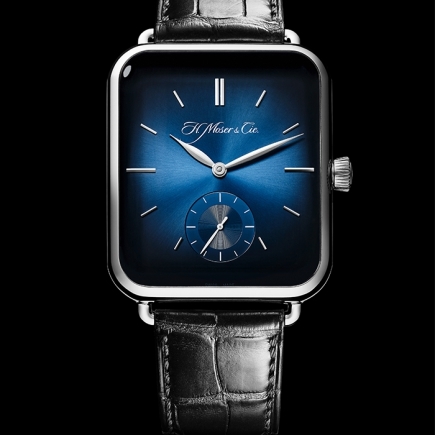 With the creativity of watchmakers seemingly limitless, and with the emergence of the smart watch, H. Moser & Cie. has returned to its roots and to those of watchmaking, distinguishing itself by unveiling a timepiece of incredible purity. 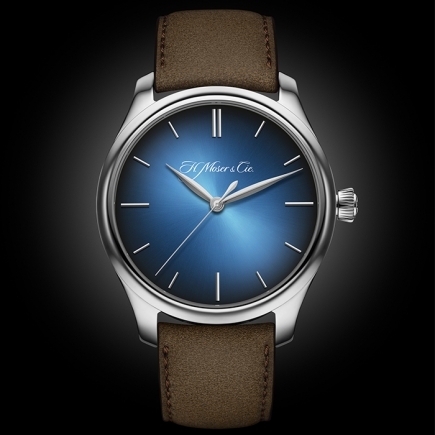 Showcasing its well-known fumé dial – a signature of the brand – stripped of frills, indices and logos, H. Moser & Cie. has put the accent on luxury craftsmanship and the beauty of expertise so often eclipsed by the surrounding marketing campaigns, to remind us that behind a logo lies the work of talented watchmakers and dial makers. 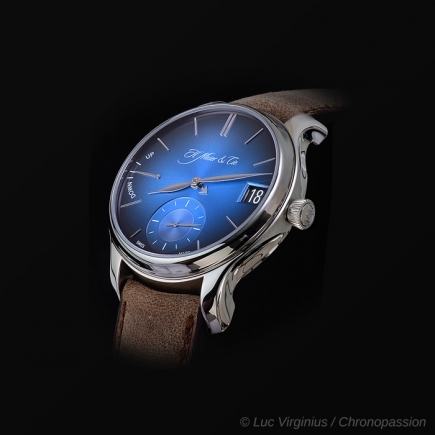 With this resolutely vintage piece, H. Moser & Cie. also demonstrates that a real luxury product is immediately identifiable even without a visible logo or brand identifier, just like a painting that remains unsigned by the artist. 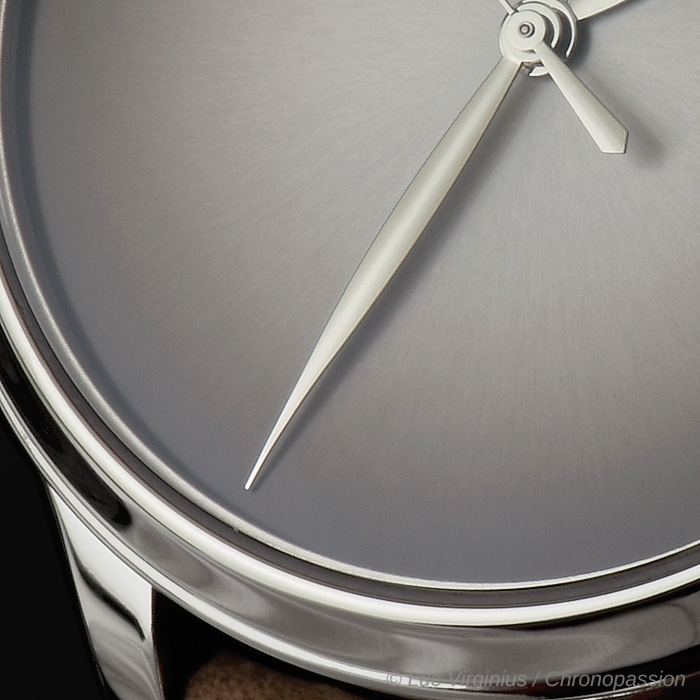 A case with alternating polished and satin-finished flanks, a fumé dial with a sunburst pattern, noble materials – an 18 carat white gold and alligator exterior – and a movement featuring traditional finishes: H. Moser & Cie. stands for distinctive luxury. 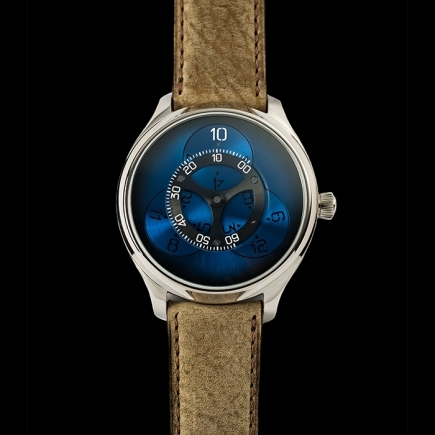 As Edouard Meylan, CEO of H. Moser & Cie., explains: "when our customers buy an H. Moser, they are looking for a manufacture watch with a distinctive design created by real craftsmen. 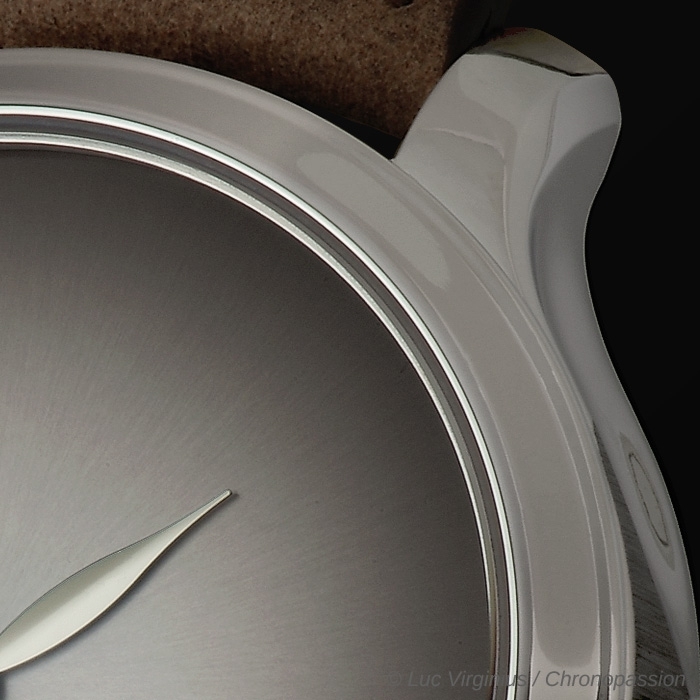 We place the emphasis on the product, not on the logo or marketing." 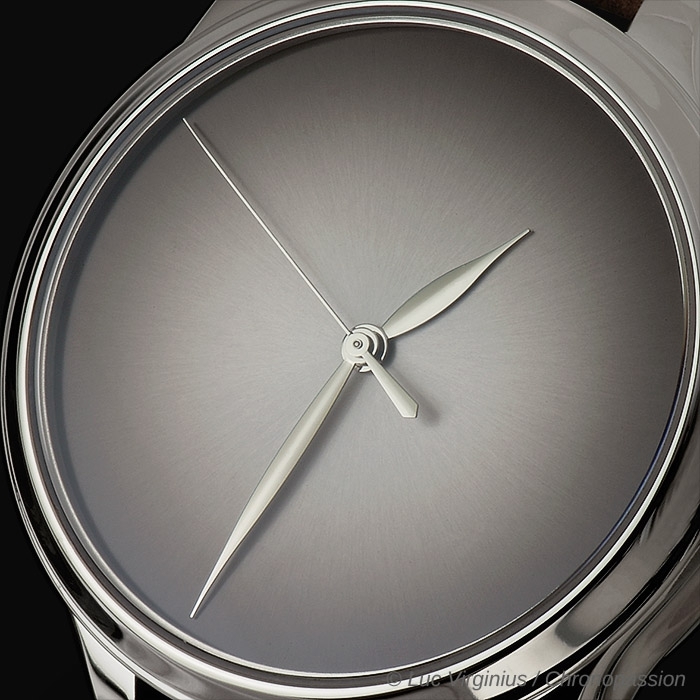 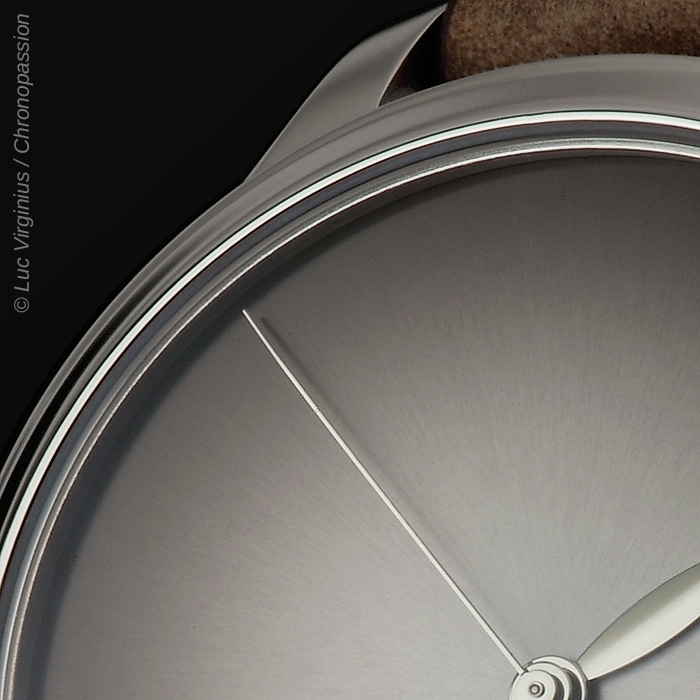 In fact, behind the apparent simplicity of the latest piece from H. Moser & Cie. lies almost a century of experience. 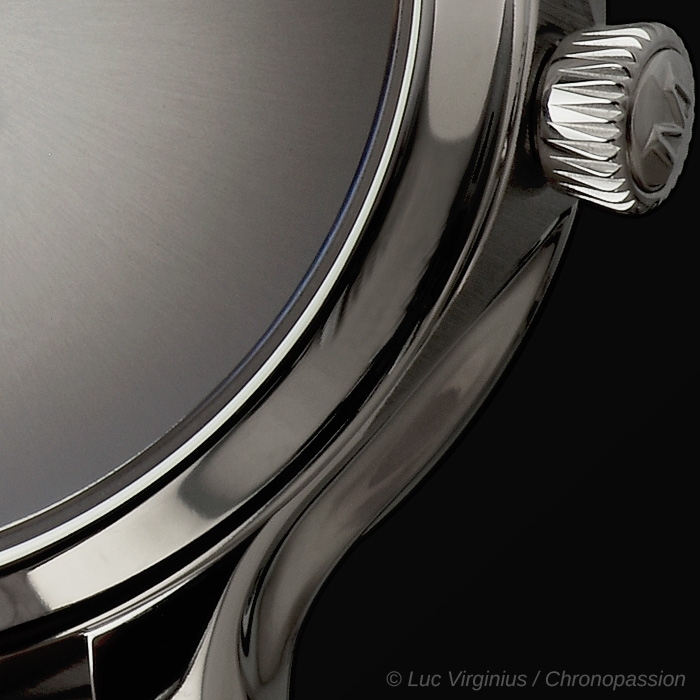 At its heart beats a proprietary movement entirely designed and produced by H. Moser & Cie: the hand-wound HMC 343 calibre. 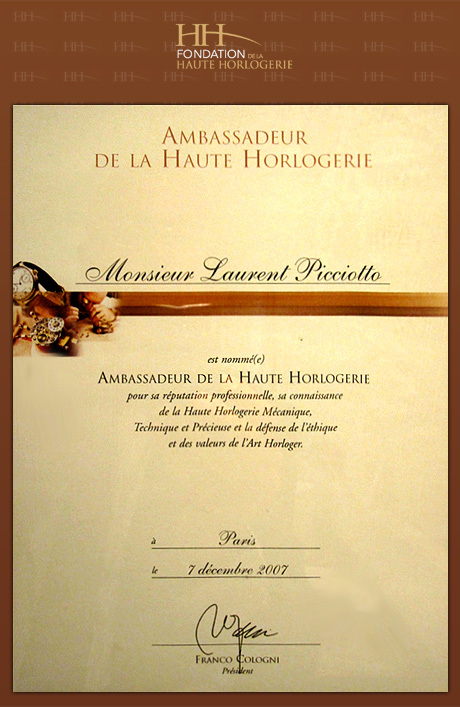 Its interchangeable modular escapement is also produced in-house, and requires expertise which only a few manufactures possess. 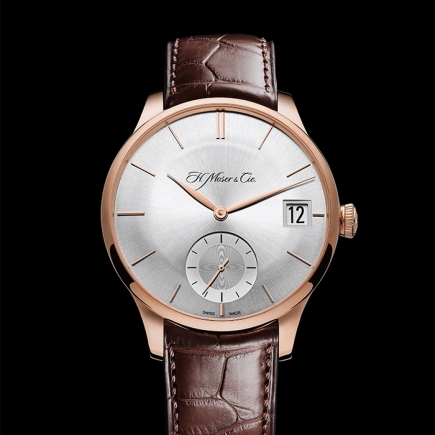 Driven by this mechanical masterpiece, the timepiece's three hands move around a dial of classic, timeless Moser beauty. 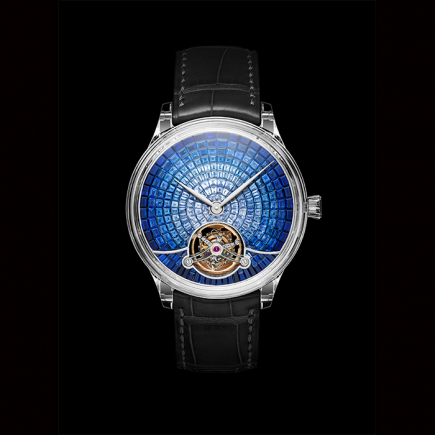 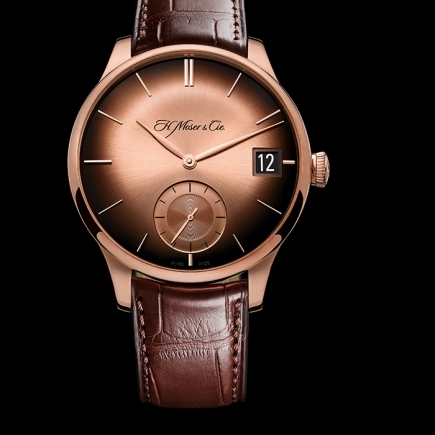 Created in accordance with the purest artistic dial-making tradition by one of H. Moser & Cie.'s partners, the fumé dial has become an integral part of the identity of this small watch Manufacture from Schaffhausen, whether in red gold fumé, midnight blue fumé or its iconic original incarnation. 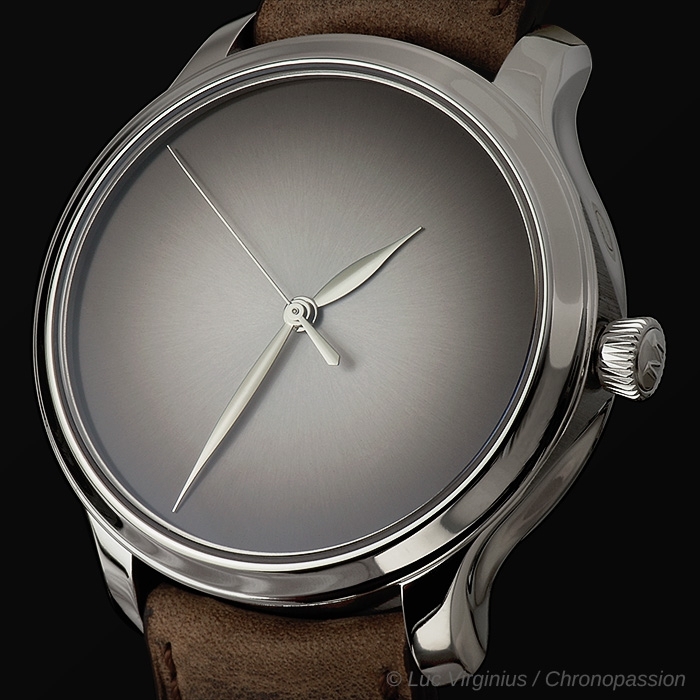 Its sober elegance belies a complex production process that uses tried and tested techniques. 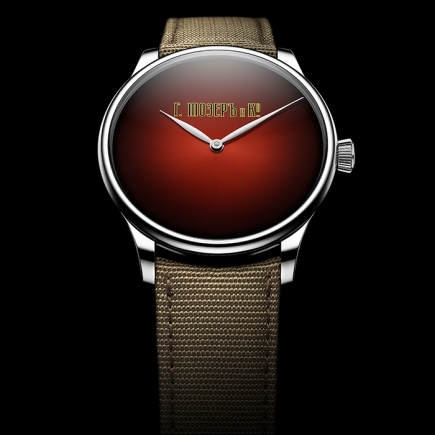 Each dial is machined in the traditional way, coloured and hand-finished to obtain the famous sunburst pattern, which produces a subtle play of light that gradually fades towards the edges and making this watch a thing of beauty. 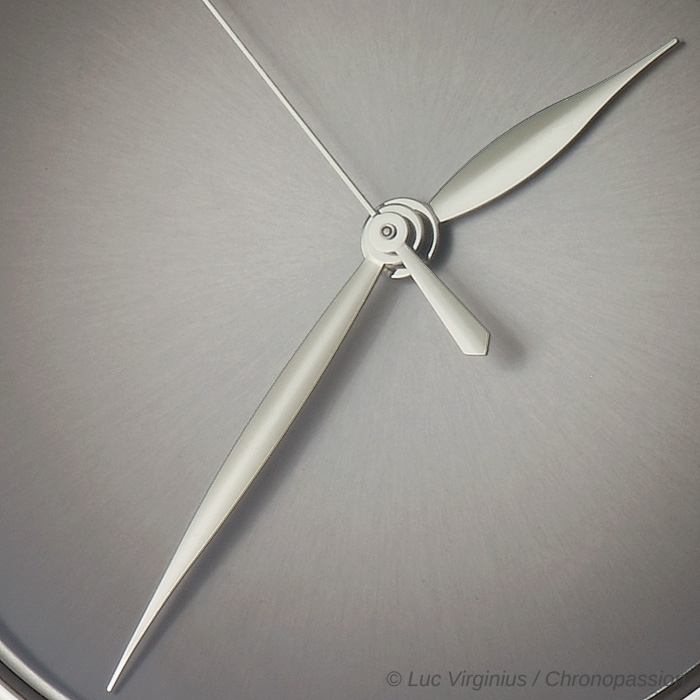 This model lends itself to philosophical reflection, designed as a conceptual piece that can be reproduced upon special request.